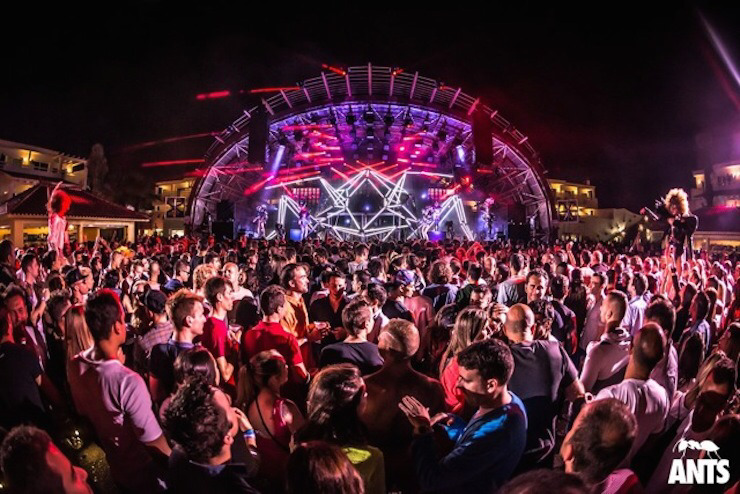 Ushuaia Ibiza is an open air daytime until midnight party venue. The majority of events are very commercial apart from the Saturday daytime event 'Ants' that is one of its most popular, proving very successful to both commercial and non commercial party & music lovers. Our open bar pre party can take place in otherwise expensive location of Playa an den bossa, a very short walk opposite Ushuaia.